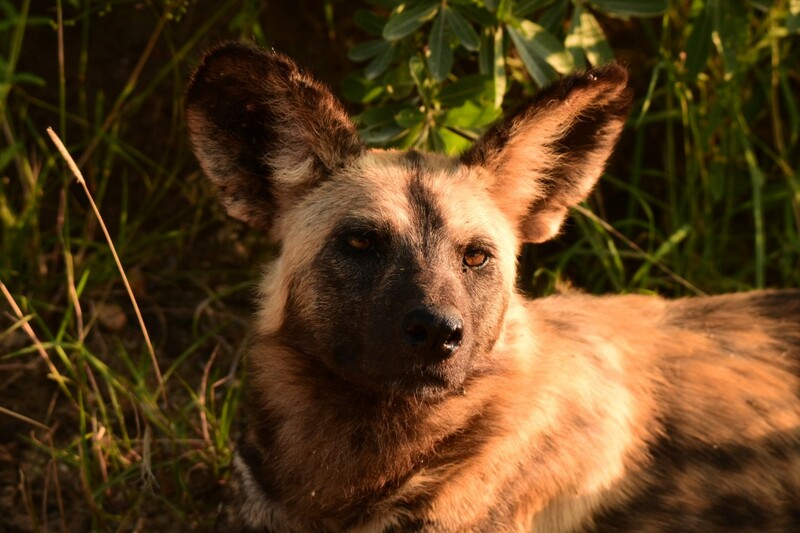 The African Wild Dog is one of the most amazing animals to see on game drive. When compared to the Big Five, for most people it does not seem very interesting due to the fact it looks very similar to a domestic dog – but it is much more than a domestic dog. It is the second most endangered canine in Africa behind the Ethiopian Wolf, largely due to its success in hunting and its wide range in and (particularly) outside park areas which brings it into contact with farmers. Wild dog have been known to get into smaller antelope breeding projects and wipe out breeding groups of impala, nyala etc. as well as causing big losses on sheep and goat farms, with the result that farmers take matters into their own hands instead of reporting it. The wild dog is also know by other names such as the Painted Wolf or Cape Hunting Dog. What make these animals such good hunters is the way they chase down their prey until the prey cannot run anymore and then rip it apart in minutes before resting. Wild dogs live in tight-knit groups run by an alpha male and alpha female, with subordinate males and females below them. They know which dogs are a part of the group by the way they smell – when the alpha male or female urinate the rest of the pack roll in the urine to absorb their scent. The alpha female is the only female in the pack to bear young and she can have between 5-10 pups at a time (but 19 pups has been recorded), with a gestation period of about 2,5 months and pups born around March to July.